Having the BBC herded along with Afghan government troops in heavily armed convoys as they made their way through Kunduz was hardly comforting for the official account. That account suggested that the government was gaining control of a city that had seen fierce Taliban resistance since their daring invasion on Monday. The chaos has now been compounded by an airstrike by US forces that ended up killing nine members of Médicins san Frontières and six patients, while also wounding 37 others. As the organisation stated, “At 2:10 am (20:40 GMT) local time… the MSF trauma centre in Kunduz was hit several times during sustained bombing and was very badly damaged.” The overworked centre had treated 394 patients, a problem compounded by the recent fighting. According to US military sources, “there may have been collateral damage” to the medical facility. “This incident is under investigation.” A statement issued by the office of the President Ashraf Ghani said that Army General John Campbell, chief of US-led forces in Afghanistan, apologised. Such instances of formality tend to be the crude outcomes of what is already certain. In this instance, the only force capable of conducting such a strike would have to have been associated with the bolstering coalition. Some members of the MSF facility had been critical of the Ghani administration’s conduct of operations in Kunduz. One of the critics counted among the fatalities was Dr. Ehsan Osmani, a 25 year old doctor who was on one of his finals shifts at the Kunduz facility. The picture looks even uglier given the attempts by the organisation to persistently ring NATO and contacts in Washington to warn them as the bombs rained for “nearly an hour”. MSF Afghanistan representatives reiterated the position that, “in all conflict contexts, these precise locations were communicated to all parties on multiple occasions over the last months, including most recently on 29 September.” Once in train, the machine of death can be a hard one to stop. To add suitable propaganda value to the event, Taliban spokesperson Zabiullah Mujahid made mileage out of condemning this “attack carried out on innocent people.” On that score, his assertion was hard to counter. The interminable conflict in Afghanistan between government forces and those of the Taliban continues. 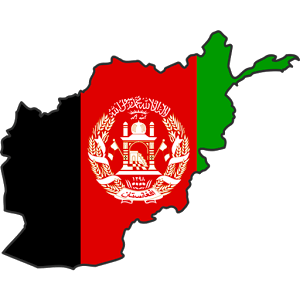 Documents have been circulating from such bodies as the Institute for the Study of War suggesting that the US mission in Afghanistan needs revision. This warning is drearily familiar: a failed mission that needs persistent tinkering in order to avoid the obvious point of defeat. The consequence of such reasoning never changes: the occupation force should linger in a various guises, be it in a combative, advisory role, or both. Then comes the pressure to reverse decisions, and increase troop totals that were originally slated for the chop. The very fact that the Taliban managed to nab Kunduz was ominous – it was the first major Afghan city to fall into their hands since 2001. It also trumpets, rather loudly, the realities that face the frazzled regime in Kabul – the Taliban have time on their side, consolidating their position in remote areas while still gathering pace to strike at more urban centres. A striking point in Taliban strategy is their efforts to engage in institution building within various areas of contention, something that should be the preserve of the Kabul government. In the meantime, the swaddling clothes are still well and truly on the being that is Ghani’s regime. His army has what overly technical strategists term “capability gaps”, hence the continued need for coalition buttressing via air support and external expertise. The false accounts and skewed narratives about repelling contenders for the carcass that is the Afghan state do, however, continue. In the vast echo chamber of Twitter, individuals such as Sweden’s former prime minister and self-proclaimed “entrepreneur of future and peace” Carl Bildt can only see minutiae on the battle field, incremental gains that suggest that things are capital when they are actually disastrous. “Good news” came his message on October 1, “Afghan government forces making advance in efforts to retake Kunduz.” The persistent NATO-US presence suggests how fragile the state of affairs is. If that presence entails bungled attacks on the only trauma centre in Kunduz, then the foreign advisors might as well hand in their resignations and exit the inglorious episode of a failed occupation that refuses to go away.